Introduction: G.Loomis is in the process of rolling out new additions to their NRX lineup and the first thing that anglers will notice is that they feature a green finish that gives the line a completely different look and feel. To better understand exactly what these new NRX rods are and where they are positioned we went straight to the source and reached out to Justin Poe, Brand Manager for G.Loomis. There has been a lot of speculation from anglers about just what these new rods are as they are now starting to highlighted at G.Loomis dealers. Some guessed that these new rods were a new line with a slightly different blend of NRX graphite, others speculated that these rods were a new application specific sub-series in the line. In reality there was a plan at G.Loomis to introduce the green rods for quite some time, and when we visited the G.Loomis factory earlier this year in May we noticed that the paint room was undergoing a major "clean room" renovation, and was told that when fully upgraded the company would be able to implement new finishes on their rods. Is this new series a direct result of these new capabilities? Even though Justin is currently traveling in Asia he was able to respond to a few quick questions to help set the record straight. 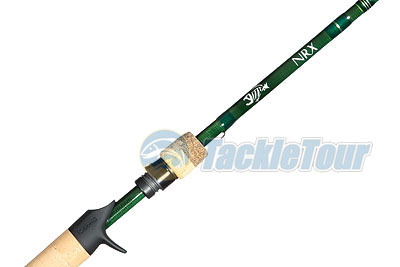 Zander: Thanks for answering a few questions about these new green NRX rods, lets� start at the top, obviously the new rods look different, is there anything different in terms of the actual NRX blank? Zander: Are they designed to target the same or a different target market? Zander: Is there any other aspect of the new rods that you would like to highlight? Justin went on to confirm that the rods are beginning to ship now and are starting to become available at their top dealers all over America. The rods will feature the same technical specifications and actions and the retail price points will remain consistent with the existing rods as well. Personally I still really like the original NRX look and feel, but this is coming from the guy that used to race around in a "Laguna Seca Blue" M3 which bore a similarly conspicuous bright coloration. While the previous generation NRX rods were a lot more polarizing in appearance, this was also one of the things that I liked about them, they were strikingly different. Nonetheless I can certainly appreciate anglers wanting a more traditional looking rod with the same blank and performance characteristics. 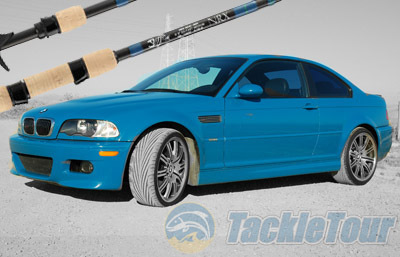 I�m glad to see that the new rods will co-exist with the original series and while the new NRX �Green� rods don�t offer more �performance� they will unquestionably speak to a broader audience, and having more choices is a very good thing when considering top of the line products, not everyone wants a bright blue "ride" after all.